Painful conditions like hip or knee arthritis can severely affect a patient’s quality of life. Craig Castleman Greene, MD strives to restore that mobility for his patients so that they can get back on the golf course, go on walks with their families, and enjoy their favorite things in life with reduced pain. 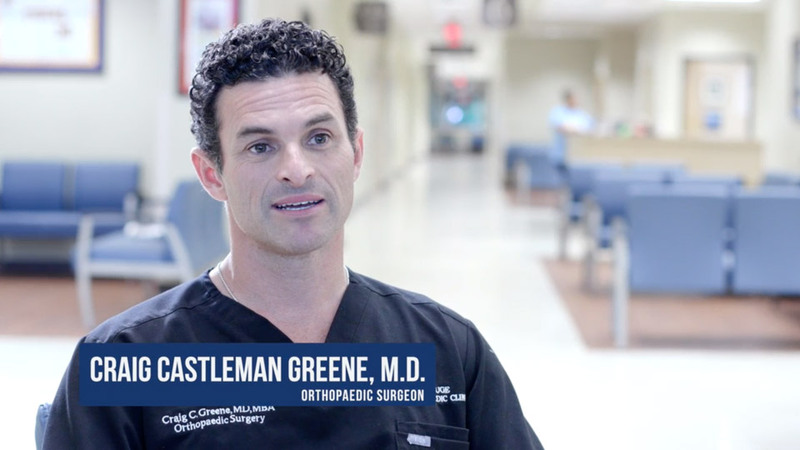 Dr. Greene is a board-certified orthopaedic surgeon in Baton Rouge, Louisiana specializing in hip and knee surgery, including joint replacement and arthroscopy. In addition to treating his patients, he also takes an active role in his community and his charity foundation, the Greene Team. Dr. Greene doesn’t want his patients to have to miss out on important life moments due to pain and disability.